Married more than 45 years to Karolyn, Dr. Gary Chapman is just the man to turn to for help on improving or healing our most important relationships. His own life experiences, plus over forty years of pastoring and marriage counseling, led him to publish his first book in the Love Language series, The 5 Love Languages: How to Express Heartfelt Commitment to Your Mate. Millions of readers credit this continual #1 New York Times bestseller with saving their marriages by showing them simple and practical ways to communicate their love to their partner. 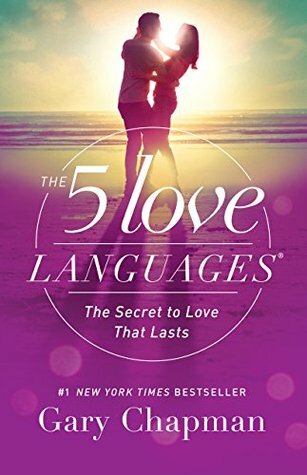 Since the success of his first book, Dr. Chapman has expanded his 5 Love Languages series to specifically reach out to teens, singles, men, and children. He is the author of numerous other books published by Moody Publishers/Northfield Publishing, including Anger, The Family Youve Always Wanted, The Marriage Youve Always Wanted, Desperate Marriages, God Speaks Your Love Language, Parenting Your Adult Child, and Hope for the Separated. He coauthored The Five Languages of Apology with Dr. Jennifer Thomas.